Forget messaging apps like WhatsApp, Line and Viber, sending and receiving free text messages should not and is no longer restricted to smartphones only. If you’re looking for a cross-platform iMessage-like service, this post is for you. Today, we’re going to introduce to you a powerful cross-platform messaging app – mysms, which allows you to send and receive free text messages to other mysms users right from your desktop computer, regardless of it being a Mac or Windows. 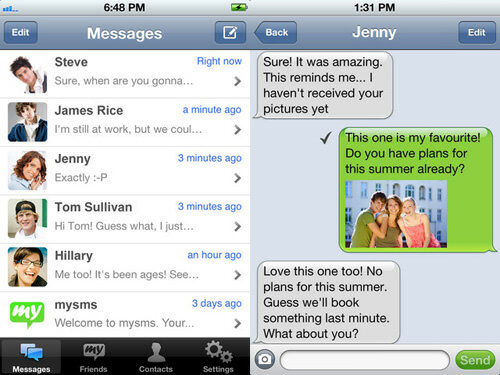 Mysms may eventually be the only messaging app you’ll ever need on your smartphone. To begin using mysms, get it on your smartphone first. Download and install mysms messenger app on your smartphone: iOS | Android. 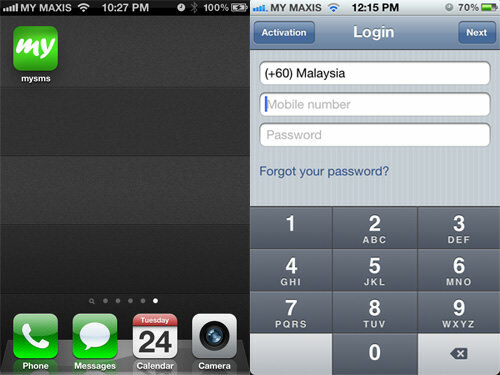 Register and activate your phone number by keying in your phone number and password for desktop and web access. That’s it! Now let’s have a look how mysms Messenger works on different platforms. mysms works like any other messaging app for smartphones: both sender and recipient must have mysms installed to start texting for free. Then, they can start sending all sorts of messages, files, images, videos or even word documents. 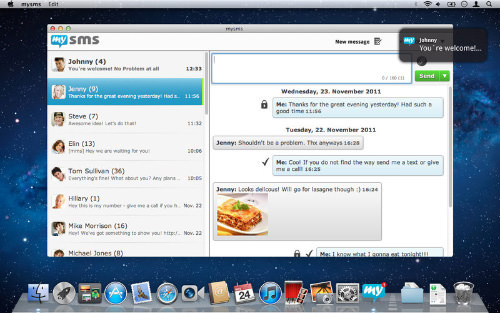 To send messages straight from your Mac or PC, just get mysms installed on your computer. Best of all, your messages will always stay in sync, no matter which device you’re using. For Android users, you can even use mysms to send SMS via your network service provider, charges will apply. Besides the smartphone and computer, mysms also provides a web app for you to manage all of your messages and contacts. The automatic backup feature keeps all your messages safe and accessible from anywhere. If you want the flexibility to be in contact with anyone on the go via smartphone yet still have the comfort of sending messages from your computer, all for free, give mysms a shot.